I have a couple of issues with it. Firstly, why am I not getting a DME on the right in this picture? What could be the cause of that..
PS: I use the Nasal/canvas/MFD_Generic.nas to start it. If I remembrr right the IDG had this issue with the DME, I think it0uchpods fixed it ~ 6 months ago? the Airbus ND is not the same as this one, the fix was unrelated. Is your dme setup correctly in instrumentation? You need to make sure it is slaved to your NAV2 radio (default, is nav). 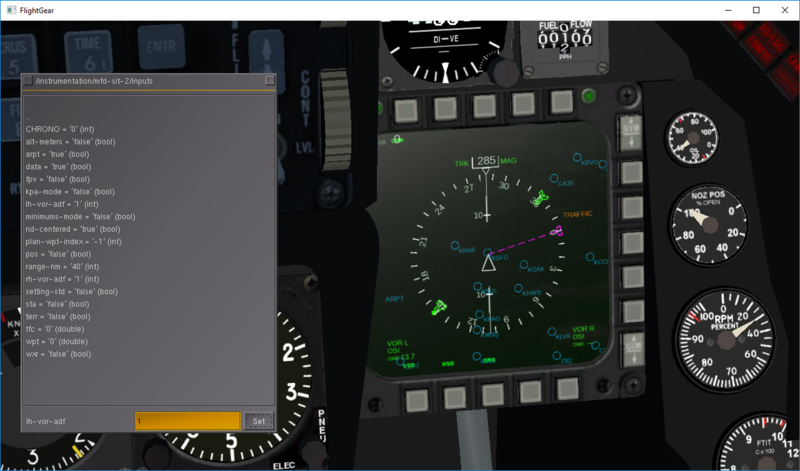 Check if /instrumentation/dme/ has a distance shown.